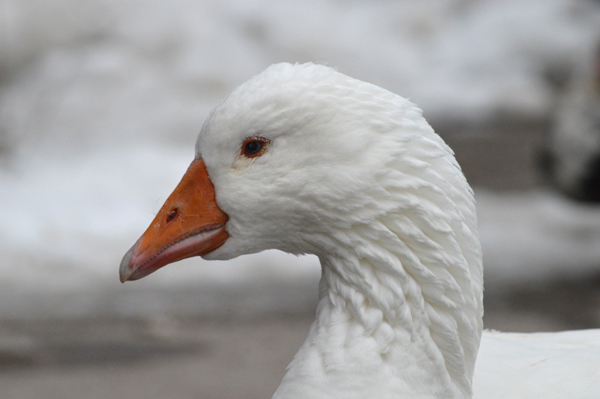 A beautiful bird at the historic Arva Flour Mill poses for a pic! 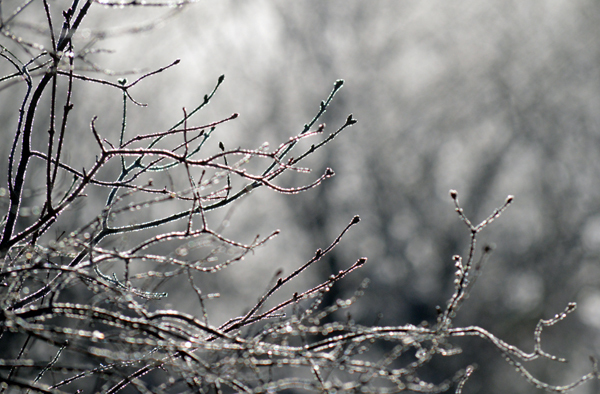 Morning light traces the sparkling branches. 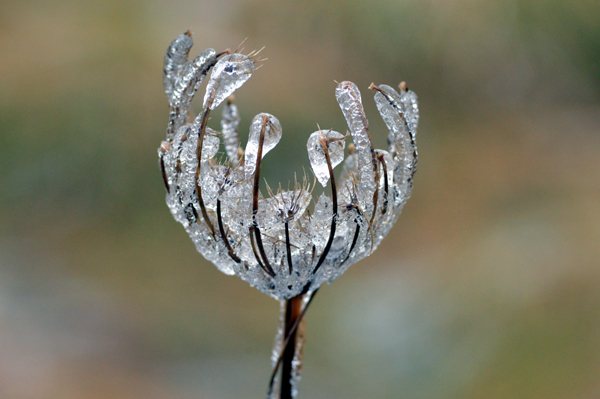 Ice adds a certain charm to a dried flower in the field. 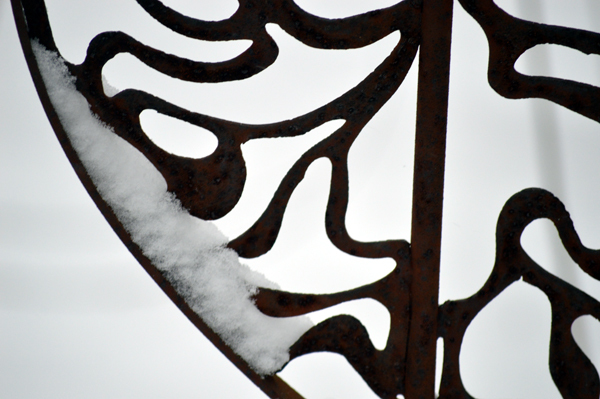 Snow provides contrast for the metal sculpture in the garden. 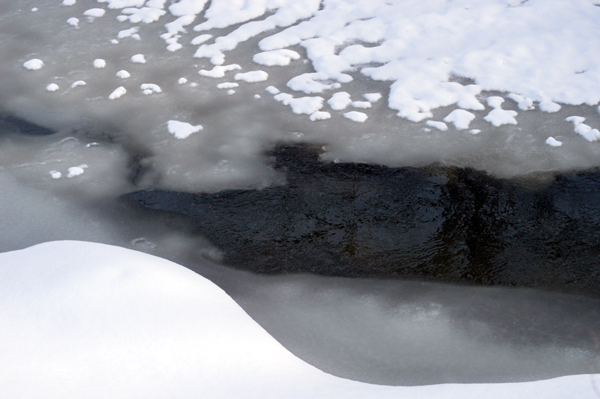 Soon, the greens of spring will fill the background. 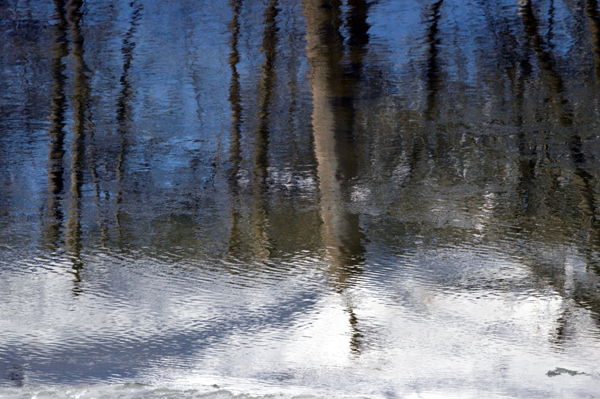 Another different abstract view of winter water. 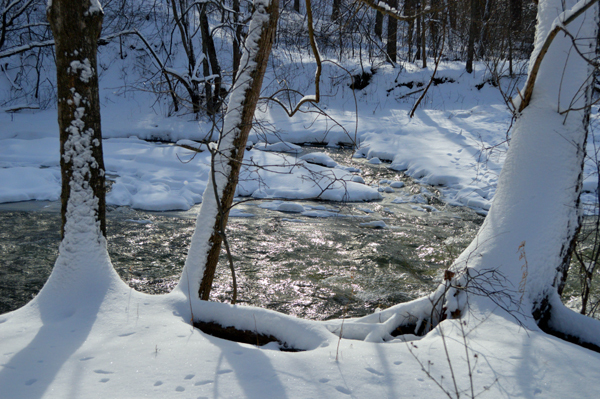 Trees, sky and snow reflect.